St Vincent & the Grenadines appeared in Round 2 (June), while Jamaica, Trinidad & Tobago and Haiti appeared in Round 3 (October/November). The 5th place playoff (otherwise known as the CFU-UNCAF playoff) will most likely take place in March and the tournament finals will take place in June 2017. 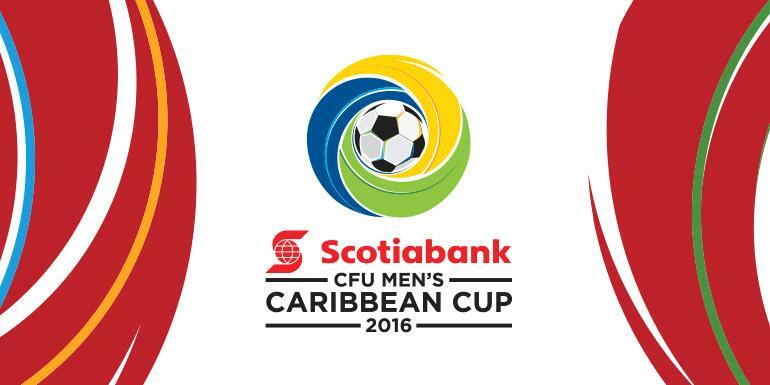 There are no draws in this season’s Caribbean Cup. If a match ends in a draw after full time, then extra time and penalties follow until there is a winner. Note: The four group winners (A-D) advance to the Caribbean Cup and Gold Cup. The three best runners-up play against each other for a spot in the CFU-UNCAF playoff. The team that wins this two-legged tie will advance to the Gold Cup. Note: Due to Hurricane Matthew, several matches had to be postponed and this affected our coverage. The postponed matches were rescheduled as follows: 09/11 – Haiti vs French Guiana (Group B), 13/11 – St Kitts & Nevis vs Haiti (Group B), 13/11 – Jamaica vs Suriname (Group A). Once these rescheduled games had been played, all information was updated for the nations concerned. Different write-ups were written at different times due to the postponement of certain games hence some information might have changed since the time of publishing. Note: Please scroll down below to see results, scorers and venues. There is detailed analysis on each country. The countries underlined won their respective ties. Suriname, Haiti, French Guiana, Curacao, Antigua & Barbuda, Puerto Rico, Martinique, Trinidad & Tobago, Dominican Republic — Nathan Carr (Founder/Editor of The Home of Caribbean Football | 2016 National Football Blogging Awards Finalist | Caribbean Football Weekly Co-Host) Follow Nathan on Twitter. Jamaica — Simon Preston (Reggae Boyz Commentary Presenter | Caribbean Football Weekly Co-Host | Recipient of Prime Minister’s Youth Award in Journalism in 2013) Follow Simon on Twitter. Guyana — Santokie Nagulendran (Founder of Guyanese Football Blog | Caribbean Football Weekly Co-Host) Follow Santokie on Twitter. Summary & Analysis: The disruption caused by Hurricane Matthew – On 1 October, 2016, Hurricane Matthew became a threat to Jamaica as they were on Hurricane Watch according to the meteorological service. As a result of this Hurricane’s vivacious activity in the Greater Antilles, Jamaica’s home match against Suriname was postponed to 13 November. With the threat of the Hurricane, this also put off a number of training sessions as they only had two training sessions before departing for Guyana. In addition, the team only had one training session with all the players together and that was the day before the game. End of losing streak – After Guyana suffered a 3-2 loss to Suriname, it was win or bust for Guyana and Jamaican manager Theodore Whitmore made it known that Guyana were no “pushovers” and they should be given “respect” in the Caribbean. The Reggae Boyz beat the Golden Jaguars 4-2 after extra time to snap Jamaica’s five match losing streak. This was Jamaica’s first victory since beating defending Copa America champions Chile 2-1 in a friendly in Vina del Mar in May earlier this year. This was also the first time Jamaica scored more than three goals in a match since March 2014 when they beat St. Lucia 5-0. Coming back from two goals down – The Guyanese caused a lot of issues from the start of the match and they stormed into a 2-0 lead courtesy of Adrian Butters before the 35th minute. The second half was a different story, though, as Jamaica showed real impetus in their forward passes, something not seen in a long time. After Je-Vaughn Watson scored Jamaica’s first goal, the momentum started to build and the floodgates opened with goals from Dicoy Williams and in extra time Shaun Francis and Cory Burke. Mission accomplished – Against Suriname, the Reggae Boyz were oozing with confidence and got an early goal through Burke. However, Jamaica went down to 10 men when Damion Lowe – the son of 1998 World Cup player Onandi – picked up a red card. This put them in an anxious mood but they kept their shape with two banks of four. After some fine saves from deputy captain Andre Blake, Jamaica were able to register their first clean sheet since November 2015. And, of course, assure their spot at next year’s Caribbean Cup and Gold Cup. Star Player(s): Cory Burke. The 24-year-old striker has made quite an impact for Jamaica. Received his maiden call-up in September, scored his first goal in October and then in November he scored the goal that sent Jamaica to the Gold Cup. His aerial ability and deft touches made life hard for the opposition. Formerly with Rivoli United, Burke has ambitions of playing in Europe one day, but in the short-term he has his sights set on getting called up for the Caribbean Cup and Gold Cup squads. Where now? Jamaica have qualified for the Gold Cup for the 10th time in their history. They are the reigning Caribbean Cup champions, having won the tournament on six occasions. They will look to make it seven and be just one title behind rivals Trinidad & Tobago. In the 2015 Gold Cup, Jamaica became the first Caribbean country to reach the final. But they lost 3-1 to Mexico. In 2017, all eyes will be on finishing what they started as Jamaica aim to become the first team other than Canada, Mexico and the USA to win the Gold Cup. Summary & Analysis: Stamina helped against Guyana – One of the main reasons behind Suriname’s victory over Guyana in Paramaribo was their ability to keep going in extra time. Goals from Galgyto Talea and second-half substitute Ivanildo Rozenblad in extra time were crucial to them getting over the line. Place in the fifth place playoffs booked – Suriname’s Gold Cup hopes are still alive after finishing as one of the best runners-up on a 0 goal difference. Head coach Roberto Godeken said he is proud of his players following the defeat to Jamaica. Dual citizenship still on hold – ‘Project Suriname’ has still not got properly underway. The team could be significantly boosted with the introduction of Dutch-born players with Surinamese roots. But a bill submitted to parliament has yet to materialise and the national association continue to use locally-born and locally-based players (with the exception of W Connection forward Dimitrie Apai), who have generally performed very well across this year’s Caribbean Cup qualifying campaign. Star Player(s): Veteran defender and skipper Gilberto Eind helped the side with his experience and know-how while Stefano Rijssel is often a threat going forward. Where now? Suriname take on Trinidad & Tobago on the 4th and Haiti on the 6th of January in the fifth place playoffs next year. They have never qualified for the Gold Cup before so history awaits. Summary & Analysis: An action-packed campaign – It was certainly an eventful campaign for the Golden Jaguars: injuries denied them of key players such as Matthew Briggs, Emery Welshman, Neil Danns, Sheldon Holder and Anthony Whyte whilst prolific striker Gregory Richardson made himself unavailable. New recruits to the side included 6’5 Barnet goalkeeper Kai McKenzie-Lyle and Philadelphia Union midfielder Warren Creavalle, who himself picked up an injury in training which limited his game time in the match versus Suriname. Defender Jake Newton also returned to the squad, four years after his last appearance for Guyana. With the local Elite League being delayed indefinitely, there was a lack of fitness in the local players and as such, head coach Jamaal Shabazz placed a heavy emphasis on overseas-based players. Goalkeeper scores on debut – One such player, UK-based striker Marcel Barrington, was effective immediately, scoring after four minutes in their first game against Suriname. Heavy rain made the game extremely hard for players to pass the ball for extended periods on a tough pitch and as such, both teams resorted to long balls, with a poor mistake by Guyanese goalkeeper McKenzie-Lyle leading to a Surinamese equaliser. Extra-time beckoned and the fitness of the Surinamese players ultimately showed, they scored twice in quick succession against a very tired Guyanese defence and sealed the tie. Guyana did score an unusual goal in the last-minute, McKenzie-Lyle running on to a free kick to score on his debut…whilst as a goalkeeper. Ultimately though, the goal was a consolation and Guyana lost the crucial tie. A valiant effort on home soil – With the match against Jamaica taking place only 72 hours after that tiresome first game, Shabazz decided to make a few changes to the starting XI: Canadian-based defender Adrian Butters came into the side and made a remarkable start to the match. He scored two early goals to give Guyana the lead very few thought was possible against one of the best sides in the Caribbean. However after that, Jamaica dominated the game and a goal in the second half from Je-Vaughn Watson brought them back into the tie before Guyanese defender Walter Moore was harshly sent off for a dangerous tackle. This swung the tie firmly in favour of the Reggae Boyz and defender Shaun Francis had a penalty saved by McKenzie-Lyle. A costly mistake by the young goalkeeper with three minutes left allowed Dicoy Williams to make it 2-2. Ten-man Guyana were never going to be able to keep up with the fitter Jamaicans and goals from Francis and Cory Burke towards the end of extra time sealed the three points. Guyana fought valiantly in both ties, but ultimately a lack of fitness, injuries to key players and inexperience in between the sticks cost them in games which both lasted 120 minutes. Star Player(s): Brandon Beresford. The 24-year-old was Guyana’s most consistent player in both games, gaining two assists from set-pieces. He provided a creative outlet in the absence of Danns. Conceded a penalty in the game against Jamaica, but otherwise had a good set of performances. Where now? Immediately after the defeat to Jamaica, Jamaal Shabazz announced his resignation, ending his third stint as manager of the national team. It is not yet known who will take over the role, but assistant coach Wayne Dover must surely be a candidate, as well as Bill Wilson, coach of domestic champions Slingerz FC. Although the GFF may very well look to hire an overseas coach once again. Veteran defender Walter Moore also announced he would be retiring from international duty twelve years after making his debut for Guyana. With Guyana not scheduled to play any competitive matches until 2019 at the earliest, this Caribbean Cup qualifying campaign may well have featured the last international outings for experienced players such as Christopher Nurse, Jake Newton, Neil Danns, Ricky Shakes, Anthony Abrams and Gregory Richardson. Hopefully the GFF will arrange international friendlies using locally-based players throughout 2017 as a new era looks set to begin in Guyana. Intelligent recruitment from French diaspora – Just like Martinique and Guadeloupe, French Guiana are a French overseas department therefore they can call upon French-born players with French Guianese heritage. Their squad includes a mixture of domestic-based players and overseas-based players (some locally-born such as Leon, Kevin Rimane and Roy Contout and others French-born such as Ludovic Baal, Loic Baal and Simon Falette). The FA have been shrewd in their recruitment and realised the importance of having professional players from the diaspora to boost the team’s overall quality. Never-say-die attitude – There is a strong team unity that runs through this French Guiana side and that was best exemplified in their comeback victory over Haiti. Their performance in Port-au-Prince summed up what they’re all about: 2-0 down before the half hour mark and 2-5 up at full-time. Two second-half goals in the space of six minutes from Sloan Privat to supplement his first-half header changed the momentum of the game with Rhudy Evens and Ludovic Baal contributing later on. They refuse to give up irrespective of the circumstances. Star Player(s): Sloan Privat. The former France U-21 international is the focal point of the attack. His impressive hat-trick against Haiti turned the game in French Guiana’s favour and ultimately helped them top the group. Where now? There are eight months before the Caribbean Cup semi-finals and nine months before the Gold Cup group phase. So French Guiana have plenty of time on their side in order to prepare as best as possible for those matches. Presumably the FA will try to arrange a few friendlies before then to keep the players gelling and perhaps experiment with one or two new players. Indeed, there has been some talk about French Guianese-born midfielder Florent Malouda representing the country at the Gold Cup. He would be a super addition: full of experience and a role model for others within the squad. Similar to Curacao, if they can play a North/Central American nation then that would be ideal as they’ll be better acclimatized when it comes to playing this sort of opposition in the Gold Cup. Summary & Analysis: Impact of Hurricane Matthew – Both of Haiti’s games in October were rescheduled for this month due to Hurricane Matthew, which caused major disruption and disaster in the country. It’s difficult not to think that the Hurricane had an effect on the team’s preparations and performances. Stunned at home – They couldn’t have got off to a better start – 2-0 up before the half hour mark – but Haiti took their foot off the pedal and were punished hard by the French Guianese. Perhaps complacency crept in and French Guiana exploited that. What this result does show, though, is that competition is getting tougher in Caribbean international football. The less traditionally successful nations are improving and reaping the rewards. Etienne Jr cap-tied – A positive for Haiti is that exciting New York Red Bulls winger and 2015 Carib Young Stars pick Derrick Etienne Jr is now cap-tied having made his senior debut in the defeat to French Guiana. He started four days later against St Kitts & Nevis. Still in with a Gold Cup chance – Haiti’s Gold Cup dreams are still alive thanks to finishing as one of the best runners-up. Only just, though. It still isn’t entirely clear which classification rule the CFU used to determine who went through out of them or Antigua & Barbuda after the pair finished in the same position (2nd), on the same number of points (3) and the same goal difference (-1). The story is that originally Antigua & Barbuda were told that they were through before the Haitian FA appealed. Then Haiti were told that they were through after the CFU Executive Committee got together and voted, according to the Haitian FA. The majority vote was with Haiti. Star Player(s): Duckens Nazon. The India-based striker notched two goals and reinforced his importance to the team’s attack. Seems to be gaining the trust of Patrice Neveu after being left out earlier on in the manager’s reign. Where now? Les Grenadiers will compete in the fifth place playoffs in January next year, playing Suriname on the 6th and Trinidad & Tobago on the 8th. The group winners will lock horns with Central America’s equivalent in the CFU-UNCAF playoff. Summary & Analysis: Goal-shy in the third round – Indeed, St Kitts failed to score in both of their games. The lack of goals were caused by a mixture of a lack of attacking potency and the opposition holding their own defensively. Romaine Sawyers and Devaughn Elliott were missed in the rearranged fixture against Haiti. Encouraging campaign overall – The Sugar Boyz can feel proud of a strong Caribbean Cup campaign. The team showed composure and purpose as they advanced through the first two rounds of the competition. While goals were at a minimum, Jacques Passy’s side achieved four clean sheets which shows compactness and defensive rigidity. They will need to sharpen up in attack to strike a balance, however. Captain calls it a day – Atiba Harris announced his retirement from international football on the 14th of November. The Sugar Boyz will miss a strong leader but also an experienced and well-rounded footballer. Over the years Harris has played in every third for the team. He started as an all-out striker, had a short stint in the midfield and finally ended up in the defence. With a total of 30 caps and six goals, Harris has served his country diligently. A new captain has not been announced as yet, but names like Julani Archibald, Sawyers and Elliott are players that are capable of leading the team into the future. Star Player(s): Atiba Harris. The captain led by example as usual. Brought a wealth of knowledge and experience to the team. Where now? St Kitts can only hope to improve further from here. They have consistently moved up the FIFA World Rankings this year – currently ranked at #80 in the world and #5 in the Caribbean (as of 24 November 2016). Reaching #73 was a milestone moment in the nation’s history: their highest ever position and something they must be proud of. The SKNFA’s ever-improving national youth programme will see more talented youngsters making the jump to senior level in the years to come. Hopefully even more players can go overseas and play professionally. This will develop the talent pool in the country. Summary & Analysis: Squad depth – The team were without some influential players for these qualifiers. Captain Cuco Martina stayed back on paternity leave while Darryl Lachman, Gillian Justiana and Jeremy de Nooijer were also absent. Squad depth was tested as a result but Curacao showed that they possess enough options to cope. Leandro Bacuna started both matches at centre-back and scored three goals. Kozakken Boys pair Quentin Jakoba and Jurien Gaari were called up for the first time and both started the first game, with the former earning a start in the second as well. Pleasing on the eye – This Curacaon side are enjoyable to watch: they play an attractive style with the ball played to feet more often than not. Every player is comfortable in possession including the goalkeeper Eloy Room who is capable of initiating attacks from deep. Sometimes they can overplay in slightly risky areas – this was how they conceded one of their goals against Puerto Rico – but on the whole their approach is admirable. Goals aren’t a problem either as they scored 21 times throughout Caribbean Cup qualifying – the highest amount out of every competitor. Seven of those came against the US Virgin Islands in June. Character – There is also steel to this side. We saw this against Puerto Rico as they came from two goals down at half-time to win the game 2-4 in extra time. The Puerto Ricans were firmly on the front foot in the first half and were only one goal away from sealing automatic qualification to the Gold Cup at one point. Curacao kept plugging away, though, and their persistence paid off when Rangelo Janga pulled one back with 20 minutes remaining. They will need plenty of that character for next year’s competitions. Kluivert’s influence – There is no denying the influence that Patrick Kluivert has had on the national team. He brought another level of professionalism, insight and experience during his spell as manager from to March 2015 to June 2016 (before he left to become PSG’s Director of Football). He helped implement the attractive, possession-orientated style of play mentioned above. It is also worth asking whether the likes of Bacuna, Room, Lachman and Jarchinio Antonia would have committed if Kluivert wouldn’t have been on board? Just his name alone is an instant pull factor for players from the diaspora. It will be interesting to see if the 40-year-old makes a return or Bicentini stays on for the Gold Cup campaign next year. Bicentini was his assistant beforehand so a possible reunion could be on the cards. Star Player(s): Leandro Bacuna. The Aston Villa man demonstrated his versatility by deputising in central defence and doing a very good job indeed. He was able to spray passes from deep and contribute three goals, most notably a tremendous long-range finish to draw level against Puerto Rico. A very valuable member of the team. Where now? There are eight months before the Caribbean Cup semi-finals and nine months before the Gold Cup group phase. So Curacao have plenty of time on their side in order to prepare as best as possible for those matches. Presumably the FA will try to arrange a few friendlies before then to keep the players gelling and perhaps experiment with one or two new players. If they can play a North/Central American nation then that would be ideal as they’ll be better acclimatized when it comes to playing this sort of opposition in the Gold Cup. Summary & Analysis: Several core players missing – Joshua Parker, Dexter Blackstock and Keiran Murtagh were unable to join up with the squad for different reasons. The captain Parker put his absence down to personal reasons, Blackstock picked up an injury leading up to the Curacao trip while Murtagh was not released by his club Woking. Indeed, clubs refusing to let their players leave for international duty is a fairly frequent situation. Blackstock was a particular blow for the Benna Boys as he offers a goal threat and physical presence up front. Lack of training – It had been reported in the Antigua Observer that the Antigua Recreation Ground (ARG) was unavailable to the national team leading up to the qualifiers. A proper training session failed to take place with some of the amateur/semi-professional players apparently unable to get time off work to attend earlier sessions. The reason why the ARG was unavailable is because Carnival took place there last month and the field had to be cleaned up. A handful of local-based players including American-based Quinton Griffith did play in the New York Caribbean Cup in September, however, and Antigua actually won the tournament for the first time. Beaten to the final fifth place playoff spot by Haiti – As mentioned previously, Antigua & Barbuda were originally set to go through to the fifth place playoffs, however, the CFU decided on Haiti instead. It is a bitter pill to swallow for the Benna Boys, who have never played at the Gold Cup before. Star Player(s): Charleston Battery’s Quinton Griffith deputised as captain in Parker’s absence and helped lead his country to three points against Puerto Rico. Added much-needed experience in midfield. Where now? Antigua & Barbuda missed out on the fifth place playoffs due to an unspecified classification rule (quite possibly goals scored as Haiti scored four compared to their two). The next time that the team will play competitively will most likely be 2018 for 2019 Caribbean Cup qualifiers. Summary & Analysis: Golden generation – The Puerto Rican FA General Secretary, Ignacio Rodriguez, recently told me that he believes the current national team is “the best we have ever had” and that “the future is bright“. Players recruited from the American diaspora such as Jason Hernandez, Manolo Sanchez and Jeremy Hall have definitely made an impact. It’s a shame, then, that El Huracan Azul won’t be appearing at the Caribbean Cup or Gold Cup. New management – The Spaniard Carlos Garcia Cantarero, formerly a coach at former La Liga champions Atletico Madrid, was hired as Jack Stefanowski’s successor in July and these qualifiers were his first competitive matches in charge. Cantarero experienced his first game as Puerto Rican boss in the form of a September friendly away to India in Mumbai. Boricua lost 4-1. Capitulation costly – They turned in a poor display against Antigua & Barbuda, who they beat in extra time in the previous round. At home to Curacao they looked good value for their two goal lead at half-time. The whole team were working effectively as a unit in the first half. Hector Ramos and Michael Ramos took their goals clinically and Joseph Marrero was a consistent threat from out wide. But for one reason or another they lost their momentum and fell apart in the second half. Star Player(s): Hector Ramos stuck his goal away with aplomb against Curacao. Indeed, ‘Pito’ has demonstrated his goal-scoring ability for Puerto Rico FC during the 2016 NASL, scoring several goals at the beginning of the season. Where now? Knocked out of 2018 World Cup qualifying by Grenada. Now eliminated from the Caribbean Cup. As things stand, the next time that Puerto Rico will play competitively will be in 2018 for 2019 Caribbean Cup qualifiers (assuming the Caribbean Cup works on a two year cycle from 2017 to 2019 etc) and then in 2019 for Qatar 2022 qualifiers. So approximately two years from now. Summary & Analysis: Fifth Gold Cup – Martinique will be playing in their fifth Gold Cup having made their debut in 1993 (when they won their first Caribbean Cup title). The non-FIFA member’s last appearance came in 2013 when they beat Canada but were unable to advance past the group phase. Civault maintained momentum – Club Franciscain boss Jean-Marc Civault was hired as manager on an interim basis in early September and should be credited for the way in which he approached these two qualifiers. Assistant to Louis Marianne (who has had to temporarily vacate the top seat due to health reasons), Civault didn’t change too much and encouraged Martinique to play on the front foot. They scored at least two goals in all six qualifiers stretching back to March and conceded just twice – a record only bettered by St Kitts & Nevis who are yet to face Haiti in the rearranged fixture. Star Player(s): Steeven Langil. The Legia Warsaw winger only made his Les Matinino debut earlier this year but has already made himself a key member of the team. Scored two goals in these latest qualifiers, most notably against Trinidad & Tobago in the final minute of extra time to secure Martinique’s route to the Caribbean Cup and Gold Cup. Where now? There are eight months before the Caribbean Cup semi-finals and nine months before the Gold Cup group phase. Similar to Curacao, Martinique have plenty of time on their side in order to prepare as best as possible for those matches. Marianne is expected to return as manager following Civault’s interim stint at the helm. Summary & Analysis: Favourites fail to claim group title – It’s all very well progressing to the Hexagonal but succeeding in the Caribbean Cup is equally important. The eight-time Caribbean Cup winners will have to contest a Gold Cup spot through the playoffs after only winning one of their games. Things were looking good following their 4-0 demolition of the Dominican Republic: they dominated, exploited opposition mistakes and never really looked like losing control. But few would have predicted them to suffer defeat in Fort-de-France despite Martinique’s growing profile within the region. The match was played with great intensity and there were clear-cut chances for both teams. Yet Trinidad & Tobago switched off in extra time and were ultimately punished. They are still in the mix but a country of their calibre should have accumulated maximum points. Ill-discipline – It’s fair to say that not all is rosy in the garden. In September, Stephen Hart criticised his players and essentially told them to get a grip after the team’s heavy loss to the USA in World Cup qualifying. “We have the Caribbean Cup. I think I have to look very closely at the selection going into the Caribbean Cup,” explained Hart. “We have to realise that we have some soul searching to do.” He thought that some of the more established members of the squad went missing and displayed a lack of leadership on the field. Shortly after those comments the news broke that Mekeil Williams, Joevin Jones and Kevin Molino left camp before the Guatemala clash to attend a boat party without permission from Hart. The trio were given a warning. It was then reported that Molino broke camp again and attended a nightclub without Hart knowing. He was made to watch the Martinique game from the stands and sent back to his club Orlando City early. He apparently put on his Snapchat account that he is going to take a year off from national team duty which would mean he misses key Hexagonal matches over the coming months. In the last few days, Molino put out an apology on his Instagram page. It seems as if there is a bit of division within the squad and Hart hasn’t got the respect of every player. And maybe this played its part in T&T’s inability to finish top of the group. Star Player(s): Kevan George. Hart praised the Jacksonville Armada midfielder after the 4-0 win over Dominican Republic, calling him “outstanding“. The 26-year-old is a calm presence in the middle of the park, keeping his tackling and passing simple and efficient. Where now? T&T will compete in the fifth place playoffs thanks to a superior goal difference (+2), playing Suriname on the 4th and Haiti on the 8th of January. The group winners will lock horns with Central America’s equivalent in the CFU-UNCAF playoff. Summary & Analysis: A nightmare start – Dominican Republic couldn’t have got their final round qualifying campaign off to a much worse start. They were deservedly beaten away to Trinidad & Tobago, 4-0, with the gulf between the two sides clear to see. Sloppy defending didn’t help either, exemplified by central defender Cesar Garcia’s calamitous clearance right into Cordell Cato’s path for T&T’s third goal. When asked what went wrong for the team after the match, Dominican fan and 2015 #CaribYoungStars contributor Carlos Peralta listed basic aspects such as “ball control” “passing” “defending” and “players out of shape” as obvious flaws. If you’re not getting the basics right, you’re always going to struggle, particularly against one of the stronger teams within the region. Second game much tighter – Los Quisqueyanos improved their performance at home to Martinique and ran the eventual Caribbean Cup and Gold Cup qualifiers close. The central midfielder Rony Beard put the hosts on level terms in the second half after Langil’s opener but Dominican Republic lacked the mental concentration to close the game out. They conceded with just one minute left of normal time and at the final whistle were officially eliminated from the competition. The talisman Jonathan Fana was unable to exude as much influence as he would have liked while technically gifted No.10 Edipo Rodriguez failed to find his rhythm in midfield. Star Player(s): Rony Beard offered a glimmer of hope when he netted the equalizer against Martinique. Grew up playing football in a Spanish environment and represented a string of lower league clubs in Spain before joining Cibao FC in the LDF. Where now? Knocked out of 2018 World Cup qualifying by Belize. Now eliminated from the Caribbean Cup. As things stand, the next time that Dominican Republic will play competitively will be in 2018 for 2019 Caribbean Cup qualifiers (assuming the Caribbean Cup works on a two year cycle from 2017 to 2019 etc) and then in 2019 for Qatar 2022 qualifiers. So approximately two years from now. Caribbean representatives at the 2017 Caribbean Cup: Jamaica (Group A champions), French Guiana (Group B champions), Curacao (Group C champions), Martinique (Group D champions). Caribbean representatives at the 2017 Gold Cup: Jamaica (Group A champions), French Guiana (Group B champions), Curacao (Group C champions), Martinique (Group D champions). List to be updated following outcome of CFU-UNCAF playoff. Thank you for reading! This third round review was updated when the postponed/rearranged games were played and all the groups were finalised. Feel free to leave any constructive feedback in the comments box below. Big up to Santokie, Simon and Nadiv for their comment and insight. Meanwhile, you can get in touch with me on Twitter, Facebook and Instagram. Have a Look at my review of Jamaica’s performance in the 3rd round of the 2016-17 Caribbean Cup.